Entertaining in the summer should be easy. The hot days make you a little lazy and, of course, you don’t want to spend too much time in the kitchen when you can be outdoors! 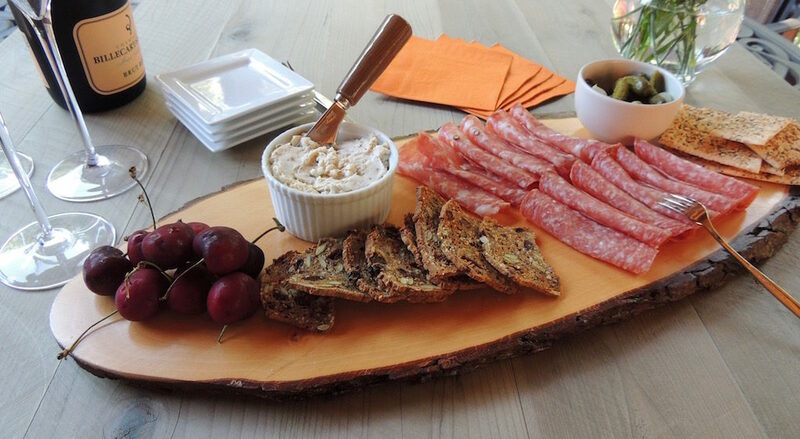 This quick and easy Fig and Goat Cheese Spread fits the bill for laid-back outdoor living. The sweetness of the figs is a great foil for the tart goat cheese. Use a fork to mix the fig jam into room temperature goat cheese, but don’t combine thoroughly, leave streaks throughout. 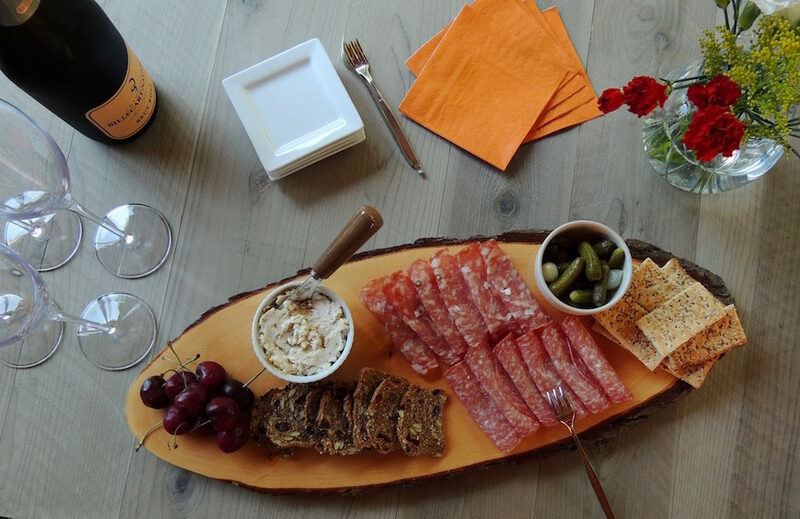 Include the spread on a cheese or charcuterie board. It’s also great in lieu of butter on a tasty loaf of bread. The little charcuterie plate I put together here includes some Genoa salami and sopressata, the saltiness of these meats with the sweet and tart spread go very well together. Add a little fruit and some sour cornichons and pickled onions and you’ve covered all the taste profiles on one small plate! See out post on how to make crostini; omit the cheese step. Fig & Goat Cheese spread couldn’t be easier to make and it’s really delicious. Use it on a cheese board or use on crusty bread instead of butter. Gently mix the goat cheese and fig spread together, but don’t completely combine. Leave streaks of both throughout. Can I use fresh figs for this recipe? Yes, most certainly. I’ve do it before. Here’s my recipe. Bring the figs, water, sugar and lemon peel to a boil in a small saucepan over medium-high heat. Reduce the heat to a simmer and continue cooking until figs are very soft, about X minutes. Let cool slightly, then puree in a food processor fitted with the blade attachment. Store in an airtight container in the refrigerator.